Fiat Chrysler Automobiles, facing the need to catch up to its rivals on both electric vehicles and self-driving car technology, could turn to a Chinese buyer to solve its problems because it has few other alternatives. Analysts say the idea may seem far-fetched — especially in today’s political environment — but it could happen. Fiat Chrysler, which essentially has been for sale for just over two years, was rebuffed by General Motors in 2015 while several other traditional automakers that might have been interested have either been besieged by their own troubles or have made other big acquisitions. Meanwhile, CEO Sergio Marchionne wants to retire in 2019 and has said the five-year plan he laid out for the company in 2014 will be his last. On Monday, Automotive News named Guangzhou Auto, Dongfeng Motor Corp., Great Wall and Zhejiang Geely Holding Group as potential buyers. A spokeswoman for Fiat Chrysler declined to comment and a request for comment from a representative of Guangzhou went unanswered. Of the automakers named, the most natural fit would appear to be Guangzhou Auto. Fiat Chrysler produces Jeep SUVs in China at two plants through a joint venture with Guangzhou Auto. Guangzhou unveiled three vehicles at the North American International Auto Show in January. It was the company’s second official appearance at the show in the past three years. 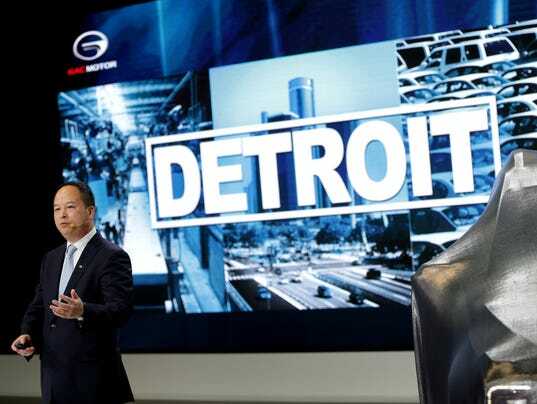 A Guangzhou executive told USA TODAY in January that the company was considering plans to expand its ties to Fiat Chrysler in the U.S.
Geely acquired Volvo in 2010 and vastly improved the Swedish automaker’s lineup with an infusion of cash. However, Geely also announced a deal in May to acquire 51% of Proton’s stake in British car maker Lotus, and may have its hands full for awhile, Sullivan said. Proton is Malaysia’s unprofitable automaker and parent company of Lotus. While Fiat Chrysler is in solid financial shape today, the automaker still lags behind competitors when it comes to hybrid and electric vehicles and the development of autonomous technology. Both German automaker Volkswagen and French automaker PSA Groupe have, over the past two years, been viewed as potential partners or buyers of Fiat Chrysler. But Volkswagen’s management and finances have been in turmoil for more than two years because of a scandal tied to its diesel engine emissions and PSA Groupe agreed to acquire GM’s European division in March for $2.2 billion. That leaves Fiat Chrysler with few other options. Such a deal would likely face fierce political opposition. President Donald Trump has frequently criticized China for its trade practices. And on Monday, the Trump administration asked his trade office to consider investigating China for the suspected theft of American technology and intellectual property. It’s hard to imagine an acquisition by a Chinese auto company would create antitrust concerns for the U.S. Department of Justice, which considers whether an acquisition is a threat to competition. But a deal could come under the scrutiny of the U.S. government’s Committee on Foreign Investment in the United States. The committee is an an inter-agency group that reviews business deals that could result in control of a U.S. business by a foreign entity that could be viewed as a threat to national security. 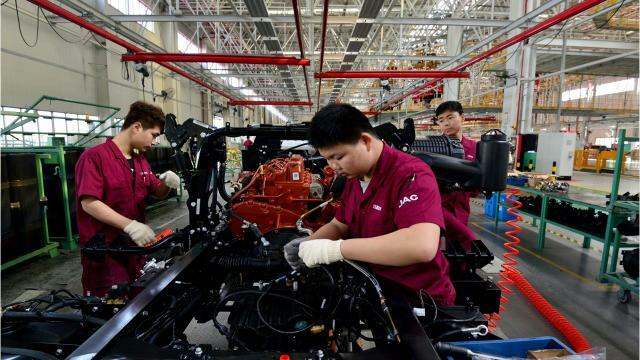 China’s automotive market became the largest in the world in terms of annual sales several years ago and the knowledge and capability of its automakers is improving rapidly. When Marchionne laid out his five-year plan in 2014 for Fiat Chrysler, he vowed it would be the last five-year strategic plan of his career. Marchionne became CEO of Fiat on June 1, 2004. Fiat was in a financial free-fall at the time and had a thin management team. Marchionne engineered a successful turnaround, putting the company in a position to acquire a controlling interest in Chrysler in 2009. Fiat’s ownership of Chrysler has been far more successful than the fierce culture clash that occurred in 1998 when Daimler AG acquired Chrysler. Marchionne installed a new management team, integrated the global operations of the two companies and created a unified global automaker. In April 2015, Marchionne stunned Wall Street when he presented “Confessions of a Capital Junkie” — a 25-page PowerPoint presentation that showed how automakers needlessly spend billions in capital every year on technology that is very similar and predicted that market realities would force automakers to partner with each other in the future. Analysts saw it as a sign that Fiat Chrysler was for sale. “I don’t think that Mr. Marchionne has made any secret of the fact that he’s looking for a buyer,” Dziczek said. And Marchionne, 65, has said he plans to retire in early 2019. That gives Marchionne, a consummate deal maker, 18 months to secure a new owner for the automaker. In 2015, Marchionne spun off Ferrari into a standalone company that is still majority-owned by Exor, an investment firm controlled by Chairman John Elkann, the great-great grandson of Fiat founder Giovanni Agnelli. 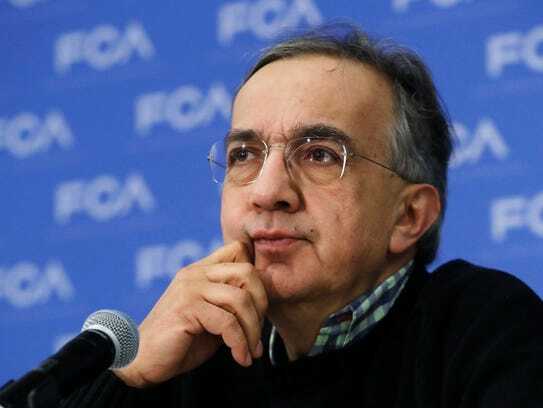 Marchionne also has been shopping around Fiat Chrysler’s parts division, Magneti Marelli, and has previously said he would consider some form of strategic partnership or sale of a stake of that division to another company. Both of those moves help to streamline Fiat Chrysler into a more simplified automotive manufacturer that makes it a more appealing acquisition target, Sullivan said. This will seem counterintuitive to many, but an acquisition by a Chinese buyer flush with cash could result in an acceleration of product development, making Fiat Chrysler more competitive. This could lead to job security or more jobs for engineers and, by making the company more competitive, provide job security for workers at U.S. plants. For those concerned about preserving U.S. jobs, forcing Fiat Chrysler to sell to an American automaker might be a far worse alternative. Back when Marchionne was urging GM to consider a merger, most analyst thought such a deal, if it happened, would lead to plant closures, thousands of job cuts and the elimination of brands. Why? Because the two automakers would look for ways to cut overlapping resources and car and truck lines that compete with each other. There was a time, before the Great Recession, that private equity firms were snapping up multi-billion-dollar auto suppliers left and right. The biggest deal of all in that era was when Cerberus Capital Management bought Chrysler for $7.4 billion in 2007. Less than two years later, Chrysler filed for Chapter 11 bankruptcy, obtained a federal emergency loan and Cerberus sold its controlling stake to Fiat. To this day, Chrysler executives view the Cerberus years as the worst years of Chrysler’s tumultuous past. “Ten years ago, I would have told you it was a horrible idea,” Sullivan said. But today? Analysts point to Geely’s successful acquisition of Volvo in 2010. When Ford sold Volvo to Geely, the Swedish automotive brand was struggling and sales were falling. Geely invested money in the company and largely allowed the existing management team to run the company. In 2016, the Volvo XC90 was named 2016 North American Truck of the Year and in 2017 the Volvo S90 was named as one of three finalists for car of the year. Fiat Chrysler would be a much larger and more complex company, making the management more complex. And the integration of three corporate cultures — American, Italian and Chinese — would also present challenges. But John Murphy, an autos analyst with Bank of America Merrill Lynch, said in January the Chinese government is pushing its automakers to take that kind of a risk.